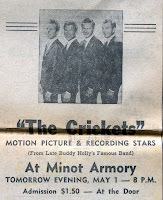 “The Crickets” – motion picture and recording stars were on stage in Minot on May 1 at the Minot Armory – tickets on $1.50.—The Crickets were Buddy Hollie’s band up until his death. 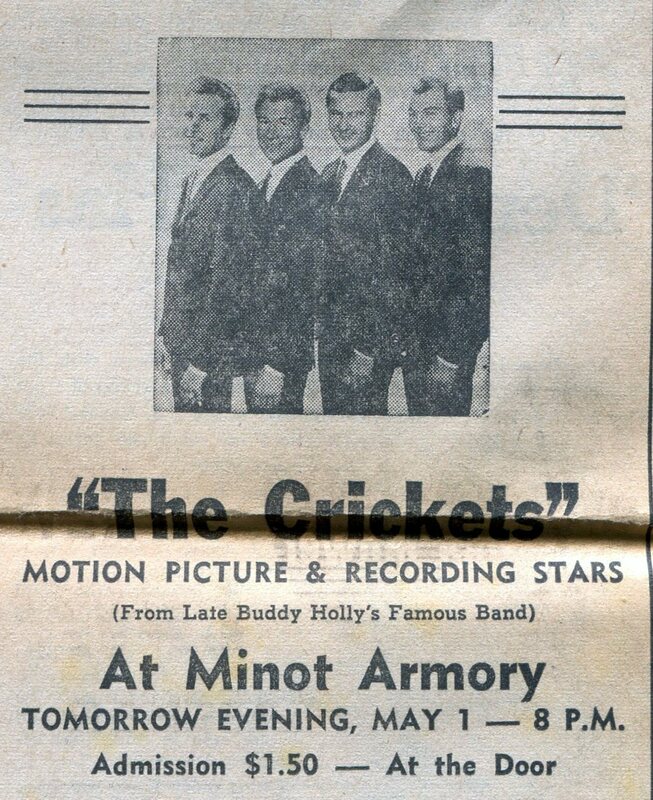 …… Roy Orbison – Wednesday, August 26, 1964 Roy Orbison appeared at the Minot Municipal Auditorium – concert was 9 pm to Midnight – ticket price was $1.75 in advance and 2.00 at the door…… The Carpenters – Dec 2. 1970 the Carpenters performed at the Municipal Auditorium. Tickets to the Event were $3.00 …..